Mobile climate monitoring cannot get any better than this! 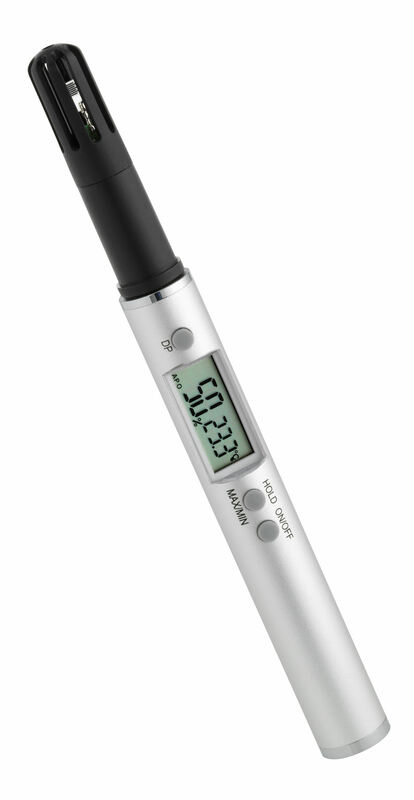 This professional thermo-hygrometer from TFA with a sturdy metal case is no bigger than a ballpoint pen. 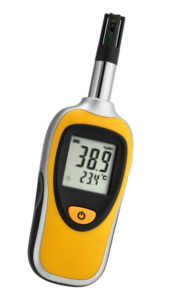 A useful device that you can take anywhere and use it for quick and accurate climate measurements. In addition, maximum and minimum reading values can be displayed and the dew point can be determined from these values.